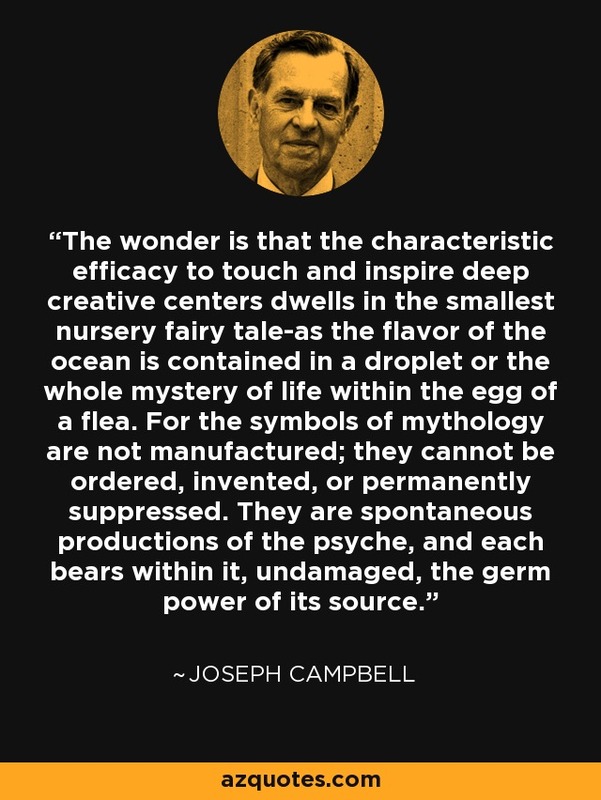 The wonder is that the characteristic efficacy to touch and inspire deep creative centers dwells in the smallest nursery fairy tale-as the flavor of the ocean is contained in a droplet or the whole mystery of life within the egg of a flea. For the symbols of mythology are not manufactured; they cannot be ordered, invented, or permanently suppressed. They are spontaneous productions of the psyche, and each bears within it, undamaged, the germ power of its source.